Show Them Who Runs This! Artwork can make or break a space. I think the number one rule for using art to decorate is picking a piece that you love. Everyday, whether in your room, kitchen, living room or bathroom, you will have to look at that picture. Personally, I don’t want to see something that I don’t care for all the time. I rather smile when I see it, feel a sense of joy and take a minute to soak it in. 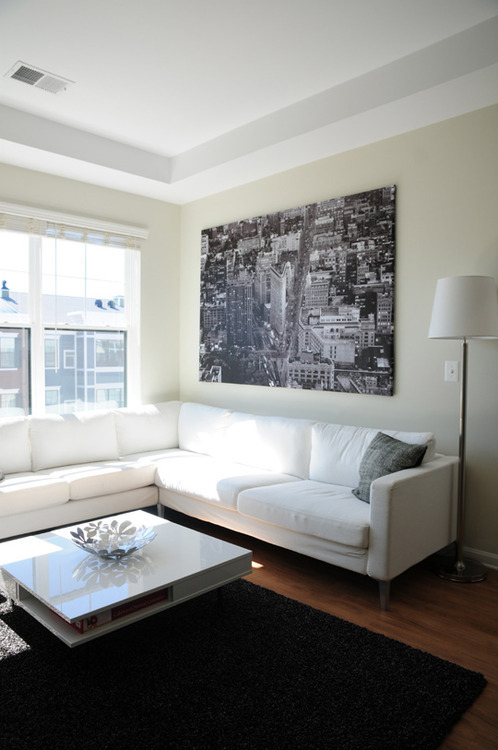 Do not think that you need to cover every empty spot of your wall with some kind of art. Some walls need to be left bare so you can enjoy the wall color – I mean you did paint it for a reason! Just make sure when you go to hang the photo to center it to whatever is below or around the piece. When hanging artwork, make sure it is at eye level of the average** persons height. I would say around 5’7. You wouldn’t want to have to break your neck looking up at a piece. And finally, be creative and have some fun. Most art pieces are fun, creative and inspiring so you should feel the same when picking something out and hanging them around your newly decorated room. There are so many different things you can do with these pieces. 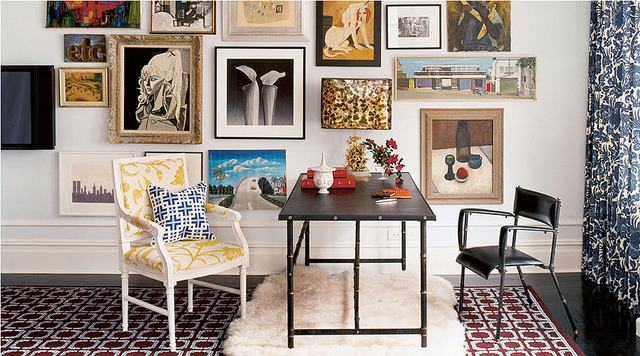 You can cluster them, stagger them or make a large collage as focal point. There are also many different types of frames that will compliment the art and make it really pop. 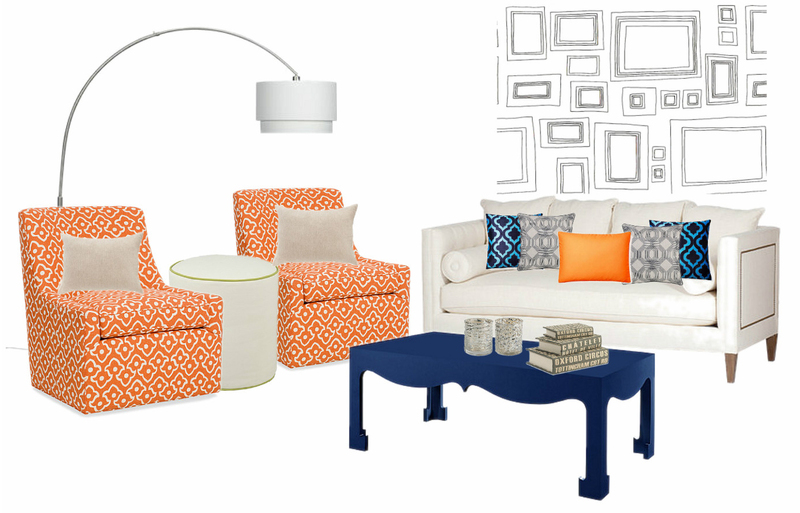 And don’t be afraid to mix and match, it’ll bring a little character to your wall. Just remember, artwork can make or break your decor. 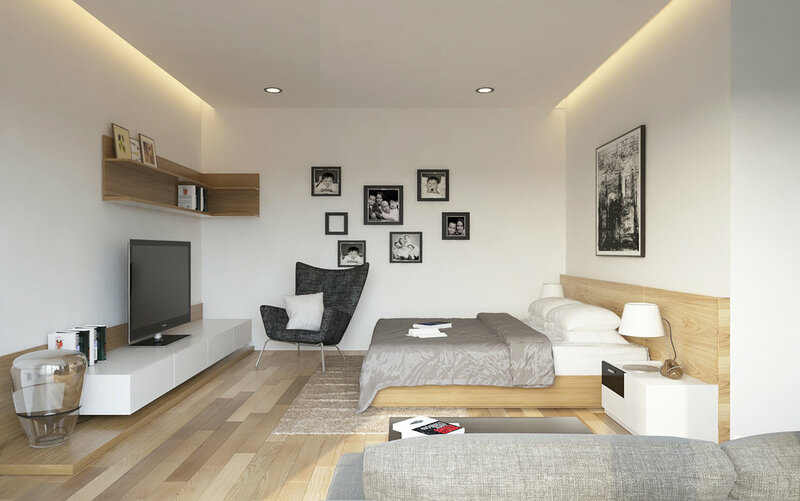 So take some time when deciding on what will work with your room, it could be crucial! **I am far from being average height. So if you are taller like myself, remember to hang it lower. And if you’re on the short side, raise it up a bit. Welcome To Oh My Decor! I would like to welcome you to my new blog, Oh My Decor. As some of you may know I have officially started my new chapter of interior decorating. And what better way to start a new chapter then with a new blog that has everything decor related! I will be using this as an outlet to showcase my work, sketches, tips and everything else that will be involved with my new career path. By doing this, I believe that it will allow all of you to find inspiration for your own homes and projects as well. I am hoping to update regularly. If you have any suggestions yourself, please feel free to let me know.